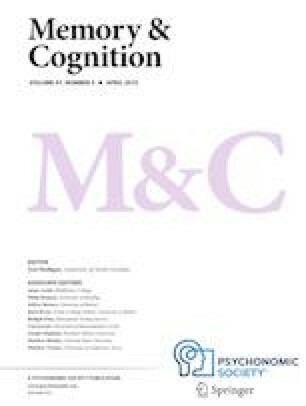 We showed that judgments of learning (JOLs) were not affected by presentation modality in a list-learning task, although the typical font-size and loudness illusions emerged in that large-font visual presentations and loud auditory presentations elicited higher JOLs than their less intense counterparts. Further, when items were presented in both modalities simultaneously, large-font/quiet and small-font/loud items received similar JOLs (and were recalled similarly). Most importantly, when the intensity manipulation was compounded across modalities, the magnitude of the illusion increased beyond that observed in a single modality, showing the influence of combining cues. Whereas recall was still the same, large-font/loud items received higher JOLs than either small-font/loud items or large-font/quiet items, and not-intense items received very low JOLs. These differences emerged only when all conditions were presented within a single list and not in a between-subjects design, underscoring the importance of comparative judgments.